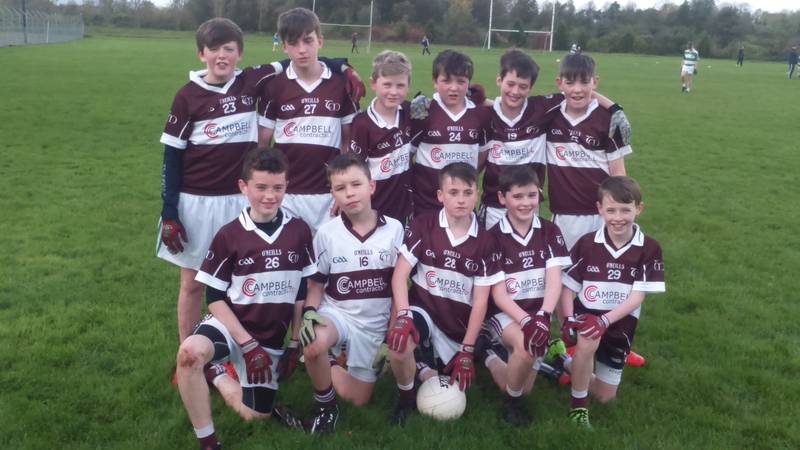 U12 B team are now expected to be in division 4 final after Enniskillen failed to field in their playoff yesterday. Tempo played an in-house training game instead. It is expected final will be this coming weekend against Roslea. The A team completed their season in the annual Dundas tournament in Lisnaskea yesterday, getting pipped in the final by the host club. Tempo topped their section, and having disposed of Newtownbutler in the semifinal went into the final in confident mood, having also previously beaten Lisnaskea earlier in the day. However with only having a small panel available, the boys were very tired and Lisnaskea ran out comfortable winners. Thanks to Lisnaskea for another enjoyable day at the Dundas tournament and for their excellent hospitality. Below is the team that took part, finishing runners up. Great effort by everyone involved.